If you’ve visited me here at Smart Savvy Living for a while now, you probably know I love cooking and baking, especially for others. When it comes to baking and dessert making, I find it to be relaxing, plus it’s pretty darn awesome to share your confections with friends and family and see the smiles on their faces and enjoyment while they eat your creations. 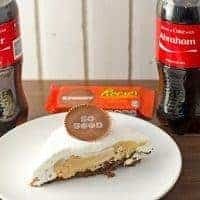 So, when I was browsing Walmart the other day and near the front to checkout, I was excited to see their display for personalized REESE’S Cups and 20 oz Coca-Cola bottles because they are perfect for sharing with loved ones! 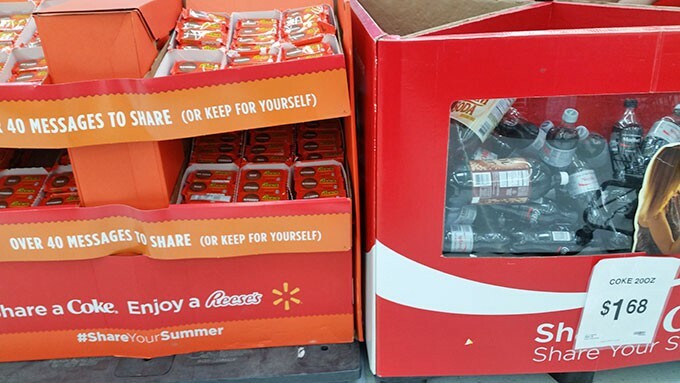 Walmart has the widest and most organized selection of personalized Coca-Cola products (the campaign is bigger than ever with 1000 names printed on the bottles!) and is actually the only place you can get the REESES’S Cups with messages on them. I loved that the displays were large and side by side, making them easy to find. Knowing me, though, I just had to take it to the next level and come up with a baking creation using the 2 and thus this Peanut Butter Pie with Brownie Crust recipe was born. Our Walmart had the personalized REESE’S Cups and Coke’s right before the checkout lines. Yep, that’s right, a brownie crust. Regular pie crusts are great and all, and so are cookie crusts, but a brownie crust makes it all that much more special! On top of that fudgy brownie crust, you pile on a slightly sweet, smooth and creamy peanut butter filling because what goes better with chocolate than peanut butter? Then on top of all that, there’s a dreamy thin layer of fresh whipped cream you can’t help but want to stick your finger in. Then, yes, it gets even better by topping it all off with a REESE’S Cup to bring all the flavors together. 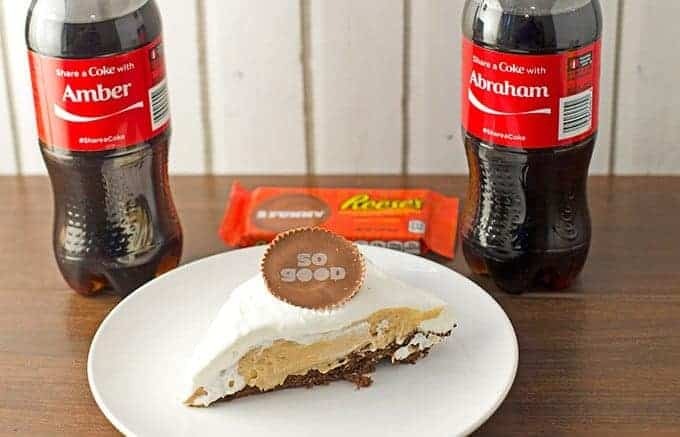 I love sharing a Coke and REESE’S cup with a loved one, but this time I had to make it even more special. I love that these REESE’S Cup have personalized messages on them so I can bring a slice to the neighbor that always makes me laugh or tell my good friends that I’ve been thinking about them. This time around, I made this pie to really treat Mr. Savvy. I wanted to celebrate the new job he just got, that means he can be home more, and give him the BFF, 2 Funny and My Fave because, well, he really is my favorite best friend in life that always make me laugh. Yes, yes, please pardon the sappy sweet moment. ;) But, this pie is perfect for all those sweet moments to share together as it’s on the richer side, which makes it perfect for sharing with all those special someones in your life. Even better is that this is a pie best served cold to help you cool down on these stifling hot summer days. Win win win, my friends, win win win. Don’t forget to serve with an ice cold personalized Coca-Cola with their name on it! 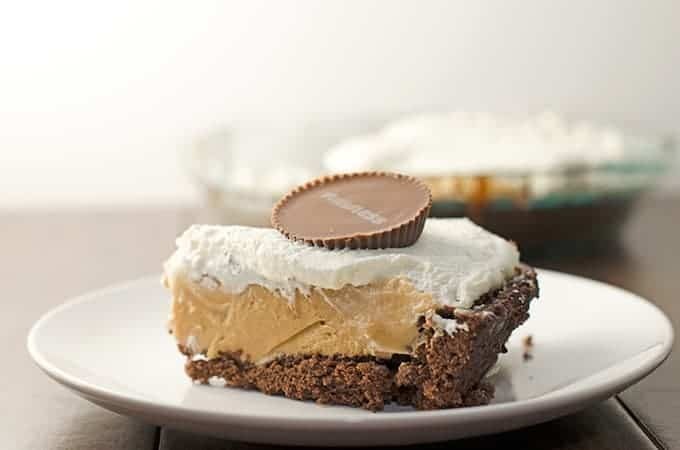 To make a brownie pie crust, bake your favorite brownie recipe in a pie plate, and then mash the center down to create a crust to hold all that yummy creamy peanut butter filling. 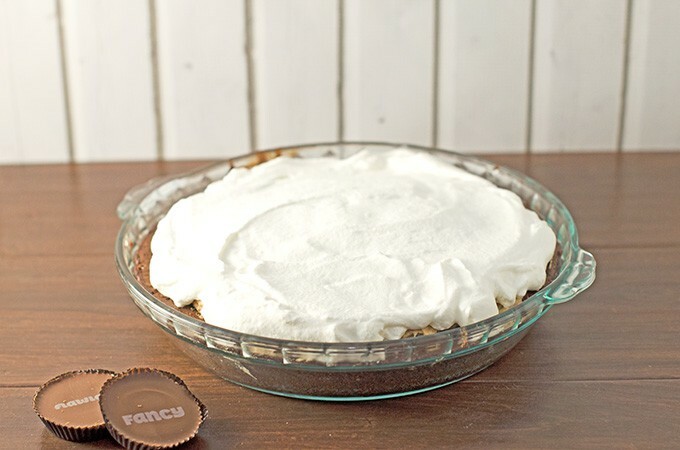 You'll never look at a peanut butter pie the same way again once you make this Peanut Butter Pie with Brownie Crust recipe! Place butter into medium-sized microwave-safe bowl and microwave until melted, about 30 seconds depending on your microwave. In the mean time, grease a 9.5 inch pie dish or springform pan. Once butter has melted, add the brownie mix, egg, buttermilk, Coca-Cola, and salt and stir with a wooden spoon until ingredients are thoroughly mixed together and there are no flour pockets, about 50 strokes. Pour brownie batter into greased pan and bake for about 30 - 40 minutes, until brownies are done and edges are slightly pulling from the side of the pan. Keep brownies in pan and place on a cooling rack until completely cooled. While brownies are cooling, make the whipped cream by mixing together cream, sugar and vanilla in a medium-sized bowl until soft peaks form with a whisk or mixer. You should end up with about 2 cups, and you'll want to separate one cup for the filling and one cup for the topping. Make the peanut butter filling by putting peanut butter and cream cheese into a medium-sized bowl and mixing on medium - high until thoroughly combined. Add in powdered sugar and salt until thoroughly combined again. Mixture will be crumbly. Mix in 1 cup of the whipped cream until thoroughly combined. Mixture should be smooth, creamy and uniform in color. Prepare the brownie crust for the filling (once completely cool) by using your hand or a measuring up to flatten the brownies in the center, creating a traditional "pie crust" shape, leaving a higher edge. See photo for an example. If your brownies are on the cakier side, you may need to remove some of the brownie center. The crumbs are great to use in trifles, a cook's snack or you can even crumble over the finished pie. Pour peanut butter filling over brownie crust, smoothing out the top. Cover and refrigerate for at least 2 hours before serving. Once ready to serve, top with a thin layer of whipped cream and one REESE'S Cup per slice of pie. You can also garnish with chocolate curls and/or chocolate sauce, if desired. Best served with a bottle of Coca-Cola, if I do say so myself. Leftovers should be stored covered in the fridge for up to 3 days. To make this even richer and more special (when only serving to adults), you can also add a Tablespoon of Godiva Chocolate Liqueur when making the whipped cream, instead of vanilla extract. What are you looking forward to doing this summer with some of the most important people in your life? See some inspiration from what others are doing at the Share A Coke website! Did you know that you can also buy bottles of Coke that you personalize yourself? How cool is that?! 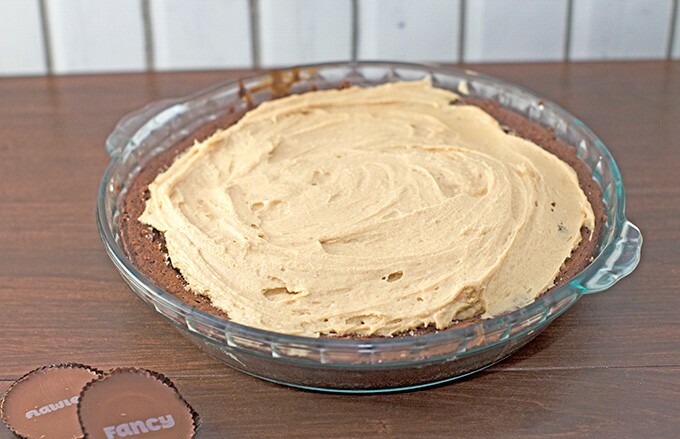 I hope you enjoy my Peanut Butter Pie with Brownie Crust Recipe. I loved it so much I’m about to go grab another slice! That is so unique and sounds delicious.I had to pin so I can try this! 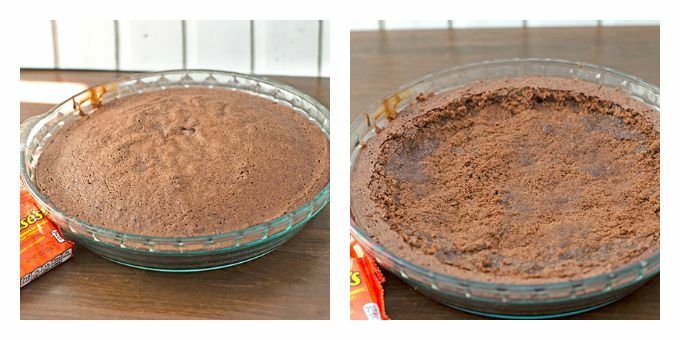 I never thought to make a brownie pie crust that is a great idea with so many possibilities. This looks delicious! We still have a few fun family activities on the agenda before summer passes. One of those is to go sea kayaking. My 14 year old is the one who suggested it and we can’t wait to give it a try as a family! Now that sounds like an awesome dessert. My kids would be happy to dig into that! That pie looks AH-MAZING!!! I love that you have Coke in the brownie, too! Oh my. This looks absolutely delicious! I think my husband would love it! I am looking forward to going on vacation with the important people in my life. 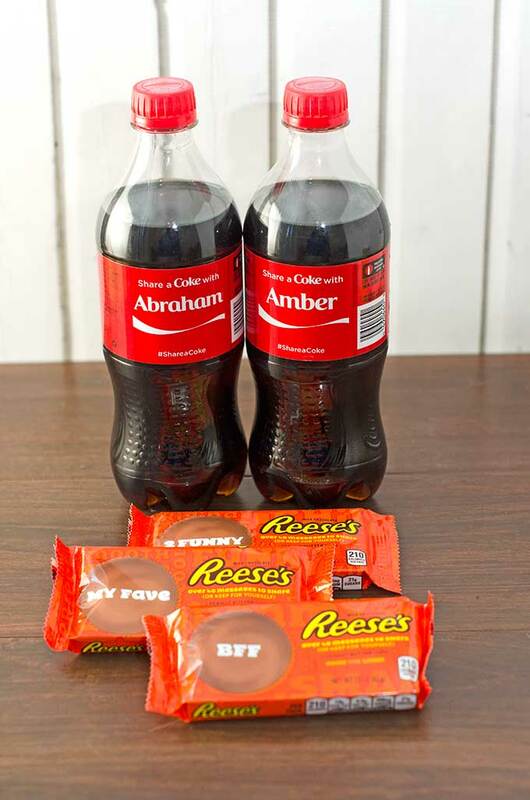 I think it would be neat if we can find bottles of Coke with our names on it while we are at our destination.